Obituary for Mary Ann (Evans) Day | W. J. Dooley Funeral Service Ltd. It is with sadness that we announce the peaceful passing of our dear mother, grandmother, great grandmother, sister and friend, Mary Ann Day, age 85, on Saturday, August 11, 2018, at the Northside General Hospital. Born in Feme, NL, on August 10, 1933, she was the daughter of the late George and Doris (Baker) Evans. Mary Ann was a devoted wife and mother. She enjoyed baking, knitting, puzzle books and spending time at the campground with her family. She was a member of St. John the Baptist Anglican Church, North Sydney. Mary Ann is survived by her 5 children, George (Judy), Calvin (Cynthia); whom she lived with for the past number of years, Ronnie (Valerie), Joey (April), Ward (Wendy); twelve grandchildren, Heather (Joe), Krissy (Dennis), Greg, Michael (Caylene), Jordan, Nicole, Courtney (Lindon), Meghan, Nathan, Adam, Miranda and MacKenzie, five great grandchildren, Amelia May, Emma Rose, Bradley, Bramwell, Benjamin; two sisters, Sue Dibbons and Janet Hollett, several nieces and nephews. Besides her parents, she was predeceased by her husband Joseph Day, a son William Day, sisters, Phoebe Parsons and Margaret Bolt, brothers, Ward and John Evans. 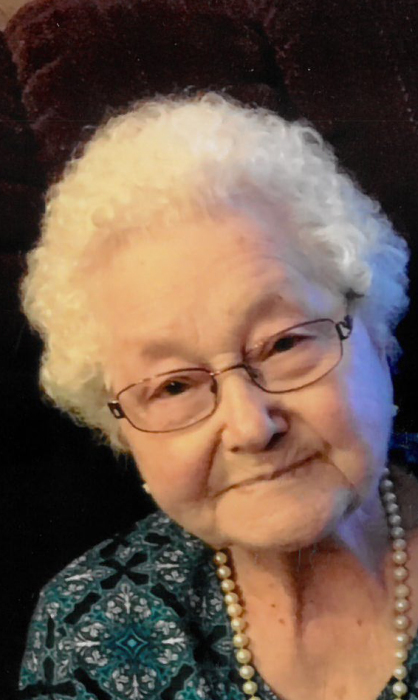 Visitation for Mary Ann will be 9 to 11 a.m. Tuesday, in the W.J. Dooley Funeral Home, 107 Pleasant St., North Sydney, with funeral service to follow at 11:00 a.m. in the funeral home chapel with Rev. Glen Kent officiating. Burial will take place in Lakeside Cemetery, North Sydney. Memorial donations may be made to Hospice/Palliative Care of Cape Breton or any charity.